A pretty big week in the Fintech world, the launch of latest iPhone (Will it or won’t it have NFC? Will it have a fingerprint scanner? Will it still be ridiculously expensive?) and it was Finovate in New York i.e. the biggest fintech conference in the world. That is where we will start. Bank Innovation dot net posted a review of every presenting company, a brief paragraph and 3 scores for each. FinTech tweeter extraordinaire Bradley Leimer wrote a great roundup of the event. There is a short write up from Javelin Research. This week it is corporate banking megabash, Sibos, which is being held in Dubai this year and is also the home of the excellent Innotribe strand. Follow the #innotribe hashtag to keep tabs on what is going on but expect design, data, platforms, organisational culture etc to be the topics of choice. More on this next week. With much fanfare and it transpired very little secrecy the Cupertino giant officially announced the 5C and 5S variants of the iPhone. From a Fintech point of view every year it is about whether or not NFC will feature in the handsets. The answer was most definitely no. There were no specific payments announcements but there were several pointers to Apples future strategy. The well and truly leaked fingerprint sensor made it’s official appearance in the iPhone 5S. Building the sensor into devices at scale may be the boost biometrics has needed. It is only in the flagship model though so scale may be a way off yet. This article by Peter Nixey lays out why it will be an important part of Apple’s ecosystem. Following the announcement their were a lot of worried people tweeting about the NSA and also the risk of people lopping off fingers during iPhone muggings. Apple assured users the sensor only works with living tissue…no word on the NSA yet though. More interesting was the quiet launch of iBeacons. A single line on one of the slides used to present, this little device brings new capability to Apple and merchants. These little devices can be installed in stores to give microlocation i.e. tell you exactly where a customers phone is. NFC require very close proximity to enable, less than 4cm, it seems something a bit more tap free is seen as the future by Apple. That will be an interesting change in behaviour for customers so used to a physical exchange to indicate money has changed hands. This article on iBeacon by GigaOm gives a good overview as does this one from Fast Company. It was not just Apple launching something with the word Beacon in it, PayPal had a much more public and noisy launch the day before the iPhone launch, which was a stunning coincidence. More microlocation goodness, USB interface for the PayPal variant though meaning it needs a constant power source which could make things a bit trickier for installation in a theft free location. I do wonder how will this microlocation / interaction free method of payment play out with people. That Edward Snowden just keeps on giving. Last week saw the realese of documents that show that the NSA were/are spying on international payments via Visa and SWIFT, in a move that shocked no one. The NSA even have their own database called ‘TracFin’ which leaves little to the imagination. Vodafone announced that they had suffered a hack and that 2 million customers banking details had been set free. and finally the best potential bank heist story of the week is the news that a group of men in London plotted to hack into a Santander Bank via the branch. The cyber gang is alleged to have tried to use a “keyboard video mouse” to take control of all the branch’s computers. The processing power of the BitCoin mining network reached a key milestone recently, It is now capable of a Petahash of processing every second i.e. 1000 trillion calculations per second. If you want to hear a young man explain what that means in a language you won’t understand while demonstrating some of the most painful camera angle switches I have ever seen you will love this video. Someone has tried to put in real world context i.e. the physical requirements if that was in one data center. Apparently you would need 100,000 of the highest performing mining server, The ASCIMiner ($3,500 each), around 21 MW of power for the machines and the cooling required. It is a lot. Either way what these big numbers mean is the network is growing much faster than anticipated. Still a long, long way to go until all 21 million coins are mined though. In other Bitcoin news, for all its libertarian underpinnings one thing is seemingly inescapable in economics, the rich get richer. This can be seen and proven inside the Bitcoin network. and lastly I enjoyed this long read on Cypherpunks, Bitcoin & Satoshi Nakamoto. A lot of focus on privacy, which Bitcoin is feared for today even though it is not private i.e. transactions and users can be traced. The battle for this will be the key axis on which the success of Bitcoin hinges. Too much provacy and governements will squash it, not enough and will the interest in it remain? Facebook sunsets (closed in non sillicon valley speak) credits in a bid to increase its scope for international payments. I held naive hope that these virtual currencies e.g. Microsoft Points, would herald a new age in remittances, truth is regulation killed them as they had a single point of failure i.e. a central organsiation owning them, unlike Bitcoin. Mobile payments in the UK is sahping up to be a big battle between Vocalink’s Zapp and Barclays Pingit. Pingit has a head start of 18 months, Vocalink has the backing of the other big banks in the form of a joint effort to build a mobile databse for payments but does that backing translate to Zapp? Who will win? Either way Zapp annouced they had partenered with World Pay which certainly adds some clout to their standing. Early days but an interesting battle is emerging. 7 day switching came into effect today in the UK. This measn all major banks must now switch customers over to new organisations inside 7 days. Any financial losses incurred as a failure by the transferring organisation will be covered by them. HM Treasury, like the hipsters they are, have produced an infographic (more a listographic that takes around 7 days to scroll) to explain it in nice simple terms. More importantly will anyone care if all the banks look the same? Gateway Index have published a much nicer and more interactive infographic in the form of this nice chart showing relevant sizes of key online payment gateways. Stripe already a sizeable blip on this landscape. They seem to the ones on the rise to me. Really interesting interview with Steve Hilton, CIO at Credit Suisse, on the public vs hybrid cloud, firewall complexity, why they won’t be building on Amazon and why IBM is too expensive and now you can get fired for buying it. More C level bank techies being open and honest like this please. Well I hope my handful of readers are never gonna give me up. All the links, and more, that I used this week can be found in this handy list. Feel free to follow my FinTechBot on Twitter to keep up to date with the latest Fintech news. Meanwhile the UK there has been sightings of Bitcoins at Number 10 as the Government seeks to understand a bit more about this disruptive little 4 year old. It seems the main concern from the Government is the anonymity of the currency, which in turn is causing the banks to steer clear due to tough regulations especially around international remittances. Can Bitcoin be shoehorned into existing UK regulations? And talking of anonymity this great article from MIT’s tech review look a the mapping of the Bitcoin economy and how it could actually reveal users identities. GigaOm took a look a the opportunity that international remittances do present for Bitcoin startups as banks close their doors on many schemes, the present a massive need to be filled. The cost of sending money averages at 8.85% according to the article. How much can these new companies shave off that? And can they crack the regulatory requirements to make it happen? Classic innovators dilemma conditions, large organisation exit a risky business and smaller ones come in and make it work for less…then scale upwards. To be continued I am sure. Payments as an API business pioneers Braintree are apparently hawking themselves round for sale. It seems their (own self inflated?) valuation of one billion dollars is putting off suitors. They are currently processing 10 billion dollars a year in payments and also own mobile payments company Venmo. Last week Braintree also announced new fraud prevention tools for merchants. It will be interesting to see who, if anyone, does snap them up (PayPal seem to be the favourites). It will be even more interesting who would then buy Stripe in defence. PayPal had a mixed week. It seem they still have some way to go on ‘Customer First: The PayPal Way‘ as it emerged they had frozen the accounts, containing 45,000 dollars of another project, this time it was privacy focused Icelandic email startup Mailpile. The company were pretty quick to unfreeze the accounts in this instance, maybe the PayPal way is almost here. In better news PayPal launched a new app which had some very innovative features as well as redesigned experience throughout. Features such as order ahead i.e. submit an order while standing in line at a coffee shop, They have also built credit into the app allowing you to apply for finance for those bigger purchases. It all builds on their desire to be seen more as an instore payment provider rather than just an online one. A big challenge. A new variant of evil looking and sounding banking malware is in the wild. HesperBot (HesterBot named after exRBS chairman would have been a more amusing name) is similar to the infamous Zeus malware and is starting to be seen across Europe. It does the usual awful things like stealing logon data but also seems to be targeting a number of mobile platforms i.e. Symbian, Blackberry and Android. Trouble in Middle Earth as Kabam the makers of the mobile Hobbit game have warned of fraudulent activity around its virtual currency Mithril. Dodgy 3rd parties have been flooding the game with offers of cheap Mithril which maybe cheap for a reason i.e. it is fake. Only ever buy Elven manufactured Mithril. ‘A good heart these days is hard to find‘ sang Feargal Sharkey, which might point the reason that technology company Bionym have decided the harness the uniqueness of the heart beat to create a new product, Nymi. Nymi is a wrist band that can track the wearers ECG (ElctroCardioGram) and allows biometric to access all manner of systems including payments. This week in New York it is Finovate Fall, which is one of the biggest Fintech conferences in the world. Snarky Bostonian Bank Blogger, Ron Shevlin takes a look at what he wants to see at the conference (hint: it is not slick UIs at the expensive of tangible business models). Jim Marous has taken at look back at the history of the event and it is interesting to see the patterns of companies demoing over the years coupled with how many of the innovations shown have actually made it into mainstream banking. In the UK Next Bank Europe will take place on the 5th & 6th of November. Hopefully I will be speaking at the event but please do not let this put you off attending. Lots of little stories from the Fintech world that I can’t be bothered to categorise. Barclays launched its rumoured foray into the data vault world, Cloud It (they are really going for the verb ‘it’ naming convention). Details are light at the moment but it looks like an interesting start from one fo the biggest banks in the UK. In more cloud storage news, Nintendo have announced the launch of a cloud bank for all your Pokemon that you have collected over the years. Will Pokemon become tradeable assets? I wonder if these are on the Cloud It roadmap? Any comment Barclays? Sarajaval Technologies have built ATM style clean water dispensers in India. They have implemented 35 of the devices which sit in front of a system that handles the filtration and distribution of the water. Dan Roosegaarde discusses technology prototypes for interactive road surfaces that display conditions such as freezing temperature or can charge electric vehicles, he also demonstrates fabric that reacts to excitement levels in humans, making it more transparent. He is working on a prototype for a bankers suit made of the material to demonstrate how ethically a banker is behaving. Transparency in action. In slightly related news I saw Tobias Revell speak last week and he talked of his 88.7 project which refers to the latitude his fictional ice trawler would circumnavigate the globe while remaining in constant link to the worlds trading networks. He also imagines a future where plugged in traders grow horns as their decisions within the systems actually affect their physical appearance. And that was the week that was. Hope it was good for you. Follow my little @fintechbot for all the latest news first. Here is a big list of all the links used (and some not used) in this weeks post. A few weeks away from the office also meant a few weeks away from the blog. Back into it into now though so let’s have a little round up of news from the world of Fintech last week. We have recently made the decision to temporarily suspend trading on the Tradehill platform, due to banking and regulatory issues. This decision has not been made lightly and we regret having to take such action. However, we embrace the silver lining of our situation and plan to take this opportunity to upgrade, improve, and polish our trading platform. In less serious/regulatory news. RoboCoin, a sort of BitCoin ATM that allows you to exchange it into others currencies has gone on pre order for just just 20,000 dollars. Coinchat is an Internet Chatroom (remember those) where you smart talking could earn you cash. Effectively paying people to use the site they have got around 8,000 users. The money comes from the sites advertising and is paid in mBTC (micro Bitcoin fragments). This slicing and dicing of Bitcoin into miniscule fragments really is paving the way for true micropayments on the web. and finally for the BitCoin news it seems that the word BitCoin is now in the Oxford Online Dictionary. It was added along with other world-changing terms such as twerk, derp and srlsly? Make of this what you will. Cardlytics announced its first UK bank partnership, Halifax. The service plugs customer transaction data into the Cardlytics platoform and allows ‘targeted and relevant’ offers to be placed into the online banking experience. It will be interesting to see how this is received in the wilds of West Yorkshire (and the rest of the UK). It is a new revenue stream that lots of banks want to try but getting traction is difficult. US bank Ally recently announced it was closing its card related offers scheme. The Yorkshire Bank (a bank which should be the greatest bank in the world but probably isn’t) announced a ‘cloud based shared service alliance‘ with HP. This is an interesting move which sees the Yorkshire Bank move into the bank as a platform territory. They already provide services for some smaller building societies will this new platform draw in a new breed of banking company? FNB in Africa have launched a cash free cash machine. This seems to go against everything the ATM is there to provide but you can get the next best thing to cash, a little piece of paper that you can take to approved retailers and they give you cash in return. The ATMs are cashless for safety reasons and they also provide access to online services. As new services atart appearing in the ATM channel, specifically those involving mobiles and the withdrawal of cash then the hackers and scammers are not far behind. Banks are starting to see an increase in SIM swap fraud. Cloning a persons SIM to receive their incoming text messages i.e. one time passwords for emergency cash withdrawal from ATMs. It seems that the new mobile card reader is the new mobile POS. Every man and his dog in the US seems to be launching one of these offerings and the latest to try is Shopify. They have announced they will be offering a full POS service. The full package they are offering includes an iPad and mobile card readers as well. Selling payments and POS in one tightly integrated bundle (the payments processing is providing by Stripe I believe). Looks like a nice package. Interested to see if these kind of offers make it to the UK. Other non traditional finance companies that are also getting into this space include Telefonica. They are trialling an Mobile POS solution in the Czech Republic. A big reorg happening at Visa in the mobile wallet / innovation areas. Some eagle-eyed but fact light reporters suggested that Bill Gadja, Global head of mobile for Visa, had been ousted. Visa were quick to clarify the situation, in a blog post, saying he now had a broader role along with news of other changes in the organisation. One of the changes is the recruitment of Sam Shrauger, ex Yahoo! and Paypal, as the new global head of digital for developed markets. Another day and another case of PayPal freezing the funds of a legitimate cause / project. This time it was IndieGogo funded project GlassUp which aims to build a competitor to Google’s Glass. They raised over 100,000 dollars but then PayPal froze the funds (since unfrozen). There have been lots of cases of this kind of behaviour but maybe this will be the last. PayPal announced that they were looking to put customers first. PayPal president David Marcus posted details of his company’s new approach. Will Customer First The PayPal Way smooth out these frequent issues and can they get back customers they have lost? Time, tell etc. Talking of crowdfunding (tenuous link at best). IBM have been talking up their attempts to run internal crowdfunding experiments. They give 500 employees one hundred dollars each to invest in ideas and projects of their choosing. 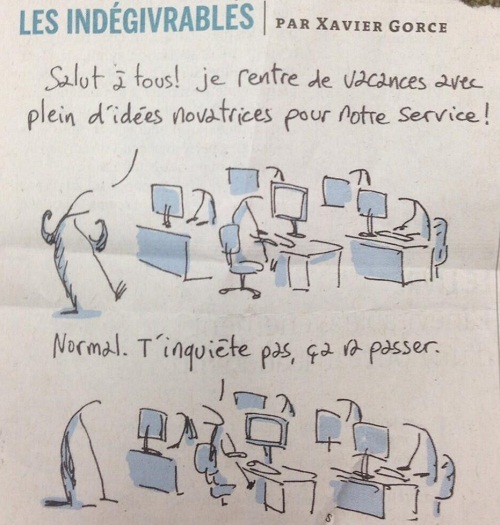 An interesting experiment which I would love to run inside the organisation I work for. One of Square’s co-founders Jim McKelvey is starting a fintech accelerator called SixThirty. With his learnings from Square and his new found contacts in the financial industry he aims to help new companies avoid some of the hassles Square have faced. “We could have saved 18 months if we had access to SixThirty when we were launching Square,” McKelvey says. Their seems to be new fintech accelerators popping up all over the place and I am hearing rumours about a large player in the space looking to set one up in London soon. Very interesting to see what impact this focus on fintech Sillicon Valley has at the moment. Can they get through the armour of the traditional financial institutions and start to truly change banking? 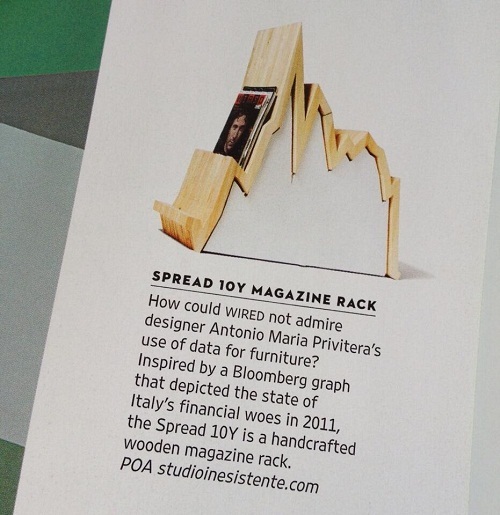 How about a bespoke magazine rack based on a graph of data from the Italian financial crisis in 2011? And finally here is a story about payments via hugs and touch from back in May that I must have missed due to the arrival of my second son. Thankfully the very smart Dan Williams posted a link to it last week so I got chance to see it. It is work which Dan’s Pervasive Media studio was involved in producing and looked at payments and how they could become embedded in objects and how that could affect our relationship with payments. The strive for all digital everywhere is clearly eroded human interactions especially around touch. This work by Heidi Hinder looks to change all that. Brilliant stuff. Read the research report and watch the video below. ‘Money No Object’: Craft + Technology residency from Heidi Hinder on Vimeo. And that is that. Sorry for being away so long (as if anyone cares). Here is a link to a list of most of the links used above. Follow FintechBot on Twitter for all the latest fintech news from it’s very simple algorithms and it’s even simpler owner. BitCoin news back at the top this week after it emerged that Thailand had banned the cryptocurrency…or had it? A local Bitcoin Exchange company had been going through the process of fully registering with Thai authorities. As part of that process the company were called in front of a panel of experts at the Bank of Thailand. Following that announcement the BitCoin world went into a frenzy but it is still far from clear whether or not the activities listed above are legal or if the requesting company have just not been granted a money transmitter license. It will be interesting to see how this unfolds over the next few weeks especially if the Bank of Thailand do confirm their postion. This article is a great overview on how BitCoin exchanges work and the problems they currently face. Another very closely related issue to this is ‘GovCoin‘ a term being used more widely thanks to the bending and alterations being forced upon the BitCoin system as it rubs up the banks, and the Governments that effectively manage them, in all the wrong ways. Jon Matonis looks into this issue and how it is shaping the future of the cryptocurrency. In more pleasant BitCoin news, this interview with the founder of Bitcoin powered mobile wallet Kipochi, Pelle Braendgaard, is well worth a read. Africa continues to be a real source of financial innovation. The Dutch Banking regulator (DNB) has approved Amazon Web Services for use in “all facets of Dutch financial operations”. This is huge news, will we now see a raft of banks making infrastructure (and shortly followed by core bank systems) their next commodity? Will we see other countries follow suit? Or will it be a wait and see approach i.e. let the others make mistakes first. Meanwhile IBM and Amazon are battling it out for a CIA cloud contract. Banks and Governments in the cloud. Those data centres are starting to look like a burden to some and a gold mine to others. Programmer Sergey Aleynikov has been rearrested for the theft of code from Goldman Sachs. The ex-employee uploaded modified open source code containing his own alterations so that he could unpick the code and release the improvements back into the open source community. He has already been tried and acquitted following an appeal but has now been rearrested and is facing several charges in New York. Michael Lewis has written a brilliant and lengthy article on the story that I can’t recommend highly enough. I have a feeling this might just blow open banks usage of open source and whether they are taking more value than they create, which seems to be their default behaviour. PayPal’s REST APIs are now available globally, as they continue their battle with the likes of Stripe. Talking of which, Stripe now have a shop, not for cutting edge APIs but for T-Shirts. Another thing I love about the API trend and the changes it is bringing about in financial services development is things being much more in the open. This article by Pete Keen looks at the risks of processing payments via web services and he has written some code to limit the risk. Lovely stuff…complete opposite to the Goldman story above. In slightly related news I liked this interview with Visa developer, Michael White, I think glimpses into the world of financial systems and their creators are rare things and I am not sure why. Do banks just keep these things secret just for secrets sake? Or to give the perception of infallibility by obscurity? Skeuocard is a lovely little bit of code that upon entry of your credit card number renders the correct type of card. Westpac New Zealand is running a competition aimed at developers and designers. The Westpac App Challange is looking for app ideas/prototypes that “make a process, transaction, application or any other common banking activity easier, faster and safe for customers”. The winners will get 10,000 New Zealand Dollars each. Watch the cringe inducing video to get more details. I love these kinds of initiatives but as the video shows these interactions with the real world still feel very awkward. Isis the US carrier based mobile payments initiative reminded everyone it still existed by announcing they will launch something by the end of the year, honest. I am yet to be convinced that the carriers have anything to offer but further complications in the already byzantine system of payments. I am willing to be proved wrong but I still don’t see why you would move the secure element on a plastic debit/credit card onto virtually the same chip on a SIM card? Sideways move. OpenTable the restaurant reservation service is looking to embed payments into its app. So not only will you be able to get a great little table by the window you will also be able to pay directly from the app and keep your talking to humans at an absolute minimum. Banks thinking they can continue to own end to end payments journeys must surely see the writing on the wall (not the menu). The payments Nascar problem shows no signs of being resolved and last week saw another payment option soon to be added to the morass. Mastercard’s MasterPass brings its virtual mobile wallet stylings to the UK. I guess anything that stops me giving away the keys to my house every time I buy is a good thing. Argos, Boots and House of Fraser are all on the launch list. The long rumoured iPhone biometric sensor seems to have been confirmed via some code in the latest beta release of iOS7. We will see if that is true when the new iPhone launches in September (at a guess). You can learn more about banking security requirements from this tale of woe than you ever will from a banks own website where they just say ‘Cover your PIN’ and S’hred your documents’ and other such lazy platitudes. I love a good tale of security woe. Yorkshire and Clydesdale bank suffered an Internet banking outage following their failure to renew their domain name. Doh. Do you fancy heading up Libya’s central bank? You can apply online now. Barclay’s have mobile and digital specialist Zapp’d. Ian Sayers, ex-chief architect for digital and mobile at Barclays is headed to Vocalink to work on the mobile merchant payments company Zapp. He joins ex-HSBC head of propositions Peter Keenan. Strong looking team but can they get the product out there and get traction? Going to be a tough one I think. Brett King’s Breaking Banks radio show (Every Thursday at 8pm EST) continues to be an interesting series of shows. This weeks episode looked at how people spend and use money and how it is far more simple than saving and avoiding the temptations of daily life. Well worth a listen each week. Social media payments service, Chirpify, raised $6 million in Series A funding. It seems there is money in buying stuff via simple reply on Twitter. An interesting read on the challenges of scaling ATM usage in India and the innovation it is driving in the main providers i.e. NCR and Diebold, as they deal with the infrastructural challenges the country presents. For example, ATMs that casn switch intelligently between solar, AC grid and battery backup. Last but by no means least a great article in the Guardian looking at the entrepreneurship in Minecraft through creation and collaboration. The future of money will certainly be heavily impacted by computer gaming. Feel free to follow my little news gatherer @fintechBot on Twitter. Jesus saves, God invests or so goes the old joke. This week the Church of England proved it was more than a joke as they finally lost patience with the payday lenders that are seemingly running riot in the UK. The church decided that it would ‘compete Wonga out of existence‘. The only downside to this was that one of the Churches many investments from its £5.5bn fund was actually in one of the parent companies of Wonga. Embarrassment aside it is good to see alternatives to banks and payday lenders, such as Credit Unions get some coverage. The FT also wrote a nice piece on how they Church should fund a whole host of alternative lenders. Talking of alternative lenders, the Bank of Dave seems to have had a great impact on the regulatory environment in the UK. A recent report said that the programme showed that ‘many things need to change’. 10.7.The Bank’s “consumers” need to become “customers” again. Bank customers don’t consume anything and they should not be (mis-)sold “products”. Banking is actually quite simple. There was more bad news for payday lenders as Plymouth Council banned providers from advertising on billboards and bus stops in the city. Slightly better news for Wonga was that Newcastle United forward Papiss Cisse backed down from the moral high ground of refusing to wear their Wonga sponsored kit this season on religious grounds (may have been something to do with him being photographed in a casino). Fraud, Security and wrongdoing news. A jailed detective has broken his silence stealing confidential information for a number of financial services firms. The investigation by SOCA (Serious Organised Crime Agency) was called Millipede because it had so many legs to it. This one could run and run. Boom. 5 men have been charged with the theft of 160,000,000 credit and debit card numbers in the biggest case of its kind in the US. The losses incurred as a result of this have been estimated at $300,000,000 but this figure has been called conservative. A new browser extension from Abine, called MaskMe offers a number of features for those wanting to stay safe online. Included in the package is the ability to create one time only credit card numbers, in light of the above story it is clear that credit card numbers as we know them today are not fit for purpose. Well known ATM hacker, Barnaby Jack, died unexpectedly at the age of 35 just as he was about to go on stage and demonstrate pacemaker hacking. Researchers have built a $200 robot that can mash PINs all day long in an attempt to crack Android phones. Not only is New York’s Citibike scheme a boon for homeless spinners it has also leaked credit card data of around 1,000 unsuspecting bikers. Apparently an entrepreneurial BitCoin ‘investment expert’ called, I kid you not, PirateAt40 managed to con a lot of idiots in a 700,00 Bitcoin Ponzi Scheme. Guiness is offering NFC enabled alcohol drinkers the chance to win a free pint by tapping their phones on beer pumps. BarEye is an iOS app that makes buying drinks for yourself and for others even easier. With a few taps you can have drinks brought to you or sent to others in the bar. Mobile payments continue to be big news even though they are still as fragmented as a broken chandelier. Starbucks announced that 10% of their transactions in the US come via Mobile Payments. iZettle threw down the gauntlet in the Mobile POS race by slashing up to 45% of its transaction charges, The race to the bottom is on. Mobile wallet provider Lemon has launched the Lemon Network, seemingly without irony or any kinds of understanding of the connotations of the phrase Lemon. The GSMA have released their latest vision for a mobile payments enabled world and how important the network operators will be in that world according to the network operators. BillGuard have launched on iPhone to help tackle those pesky ‘grey charges’ while on the move. I am a big fan of their technology and approach and I sure wish more banks would learn from them. BitPak the first iOS BiotCoin wallet has been removed from the App Store because apparently BitCoin is illegal in ‘some jurisdictions’. CoinAva allows Iranians to buy BitCoin. A little look at some of the alternative currencies following in BitCoins wake, FreiCoin, LiteCoin and PPCoin. I did not type this bit is was generated automagically. The UK Government has called for a tax on High Frequency Trading. The algorithmic tax as I have called it had the immediate effect of drawing condemnation from those that profit form a thing about to be taxed. The videos from the Wired Money event I mentioned a few weeks ago are now available. I have watched a few so far and the best one is by Kevin Slavin on how the algorithms in banking have made a system so complex that we can no longer read, see or hear it. highly recommended viewing. Everything else that I could not shoe horn into some sort of category. American Banker have been running a series of articles on the Future Model of Banking from some of the finest minds in Fintech (I can only assume my invite got blocked by our firewall). They are well worth a read and you can find them all handily linked from this page. They also have an interesting if slightly stunted and awkward interview with Miranda Hill of Well Fargo on their digital innovation lab. I am a big fan of Barclaycard’s Ring project especially the transparency element of it. They have posted their financial stats for June and they make for interesting reading. Why don’t more banks do this? A good article from the Economist on remittances in Africa. Sending money back home is a core need for migrant workers. The methods of transfer are fraught with risk for the banks that provide parts of the infrastructure. When big banks pull out of the systems what can be done to bring these systems back to life? Innovation opportunity for sure. PayPal have been hosting a series of hackdays leading up to a mega hack day in an event they are calling battle hack. The most recent event in NYC was won by DropDeadAR who have built virtual money into actual physical objects and locations. You just need a phone, augmented reality app and a desire and means to find said item and buy it. The furore over bank notes in the UK and the replacement of Elizabeth Fry on the £5 note with Winston Churchill has been resolved. 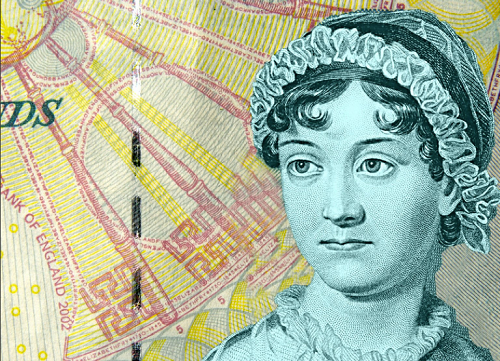 Winston will not be the face of the fiver but it will actually be Jane Austen thanks to an impressive campaign lead by Caroline Criado-Perez. Unfortunately this campaign turned sour with Caroline receiving awful abuse on Twitter, which has thankfully lead to one arrest so far, this shows it was certainly worth fighting for and that there is much more work to be done. On a lighter note this article on the design of banknotes is a nice read. Obviously we have moved on as a society in 30 years…haven’t we?